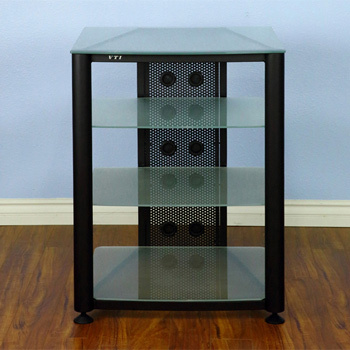 VTI RGR404BF - 4 Shelf Audio Rack with Black frame and Frosted Glass. 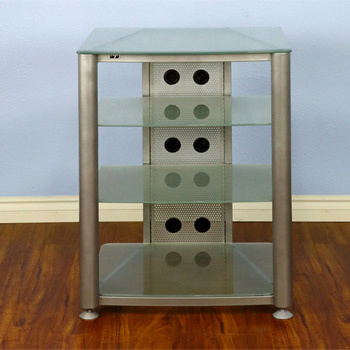 VTI RGR404SF - 4 Shelf Audio Rack with Gray Silver frame and Frosted Glass. 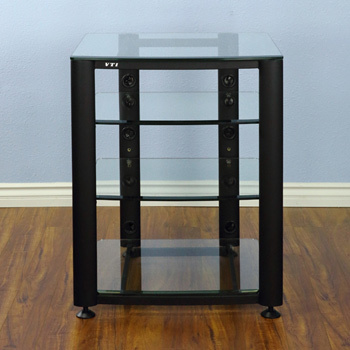 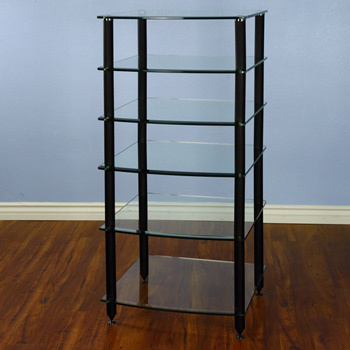 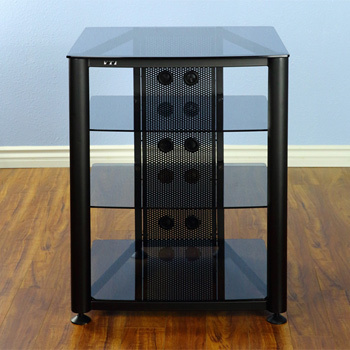 VTI RGR404BB - 4 Shelf Audio Rack with Black frame and Black Glass. 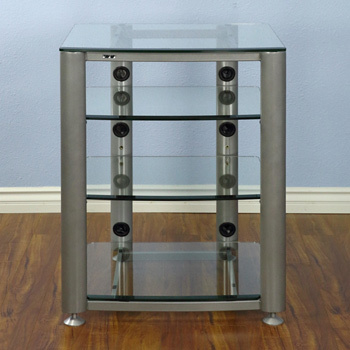 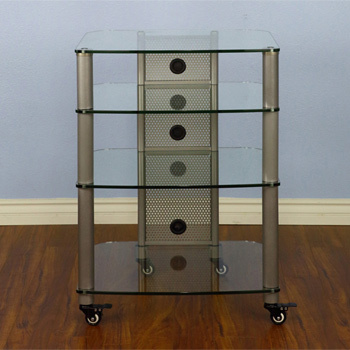 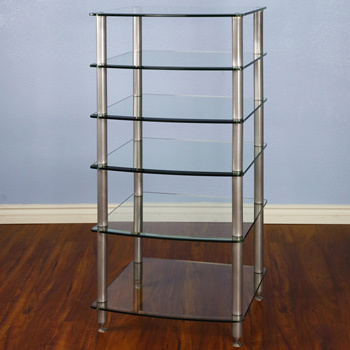 VTI HGR404SW - 4 Shelf Audio Rack in Gray Silver frame and Clear Glass. 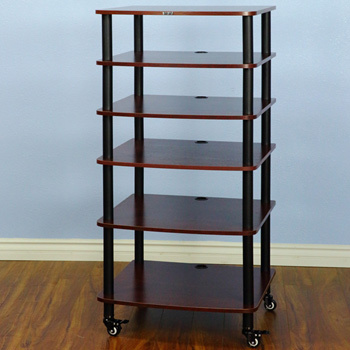 VTI AR 406 - 6 Shelf Audio Rack with Black Poles and Cherry Shelves. 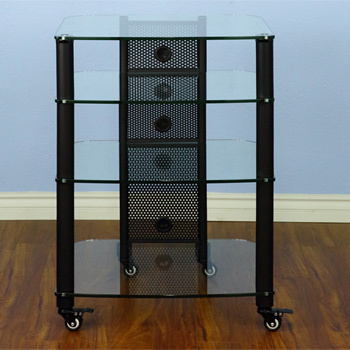 VTI AGR 406 - 6 Shelf Audio Video Rack in Black color. 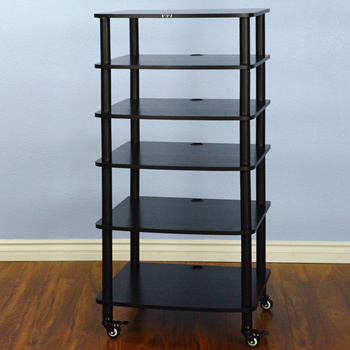 VTI AR 406 - 6 Shelf Audio Rack with Black Poles and Black Shelves. 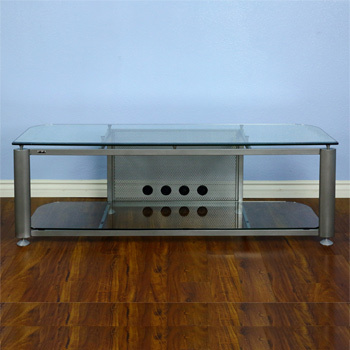 VTI HGR60S Series TV Stand up to 65" TVs in Gray Silver Frame and Clear glass. 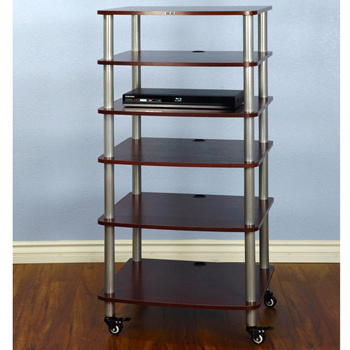 VTI AGR 406 - 6 Shelf Audio Video Rack in Gray Silver color. 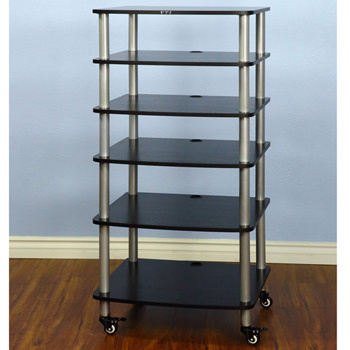 VTI AR 406 - 6 Shelf Audio Rack with Gray Silver Poles and Black Shelves. 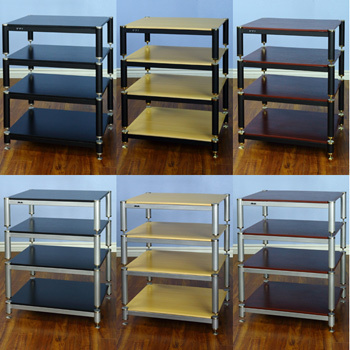 VTI AR 406 - 6 Shelf Audio Rack with Gray Silver Poles and Cherry Shelves. 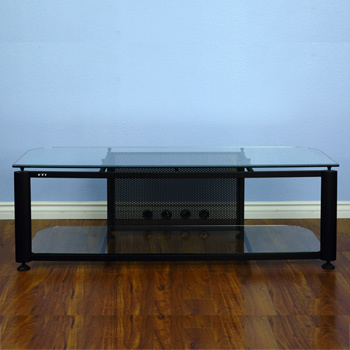 VTI HGR60B Series TV Stand up to 65" TVs with Black Frame and Clear glass.